Ask Dave Taylor: How to Change What Happens When You Close My Laptop? I don’t know if my computer is broken or what, but my new Dell XPS laptop keeps running when I close the lid on it and it’s effectively meaning that the battery is always completely drained. Not good at all, I need it for taking notes in class! Is the action that happens when I close my laptop PC something I can configure? You can most definitely tweak your PC settings to define exactly what happens when you close the lid of your Dell XPS laptop. In fact, there are a ton of things you can change to have the interaction between your hardware and Windows work the way you want, and the newer your version of Microsoft Windows, the more flexibility you have in this regard. You are going to bump into the sleep vs. hibernation question, however, which is something we should talk about before you decide exactly how your Dell should act. Problem is, even Microsoft’s a bit ambiguous about the difference between the two. Both are intended to switch the computer into a lower power consumption mode (which is what ‘sleep’ does in general) but the difference is that “sleep” keeps whatever’s in memory intact, while “hibernate” copies everything in your computer’s memory onto your hard disk. Theoretically sleep should be fastest to wake and be ready to go, with hibernate just a few seconds slower, but the real difference comes if your computer completely runs out of power. A computer that’s dead and is subsequently plugged into the wall can successfully waken from hibernation, but can’t awaken from sleep because the computer’s wiped its memory image due to the power-related restart. 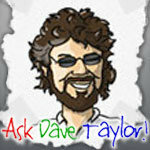 Ask Dave Taylor ask dave taylor. permalink.